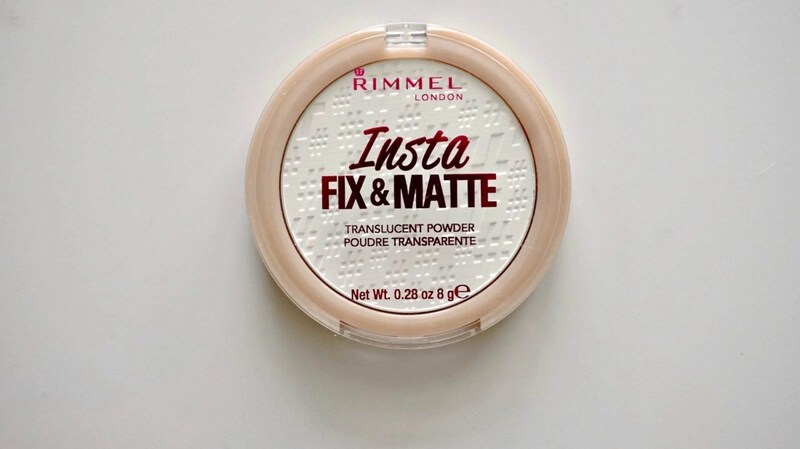 Rimmel is one of those drugstore brands that you don’t always hear people talking about, but when they do, it’s always rave reviews. Their products are nice quality and super affordable… not to mention always on sale and have coupons available to make them even more affordable. This time around I’m checking out three of their newest products: #Insta Conceal & Contour, #Insta Conceal & Correct, and Insta Fix & Matte. Rimmel is known for their translucent powder so of course I was stoked to check out their new translucent powder. 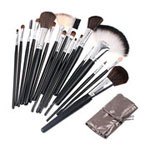 The powder has the # embedded throughout the smooth and lightweight formula powder. It’s a finely milled translucent powder that controls shine and sets your foundation. I used this in the past, but I’ve always personally preferred their to Silky Beige powder since it gives my skin a little color. This translucent powder does an amazing job and control my shine and keeping my foundation in place. Since my skin is combo-oily, I tend to keep my foundation routine simple in the summer and just use a tinted moisturizer. I bring this with me to work on Tuesdays and on the weekends when I’m out running errands. I’m going to be honest here, I’ve never been one for color correcting. While I like to conceal blemishes, I’ve never done color correcting. Because I’ve been asked about it in the past, I felt now was a good time to give it a try. 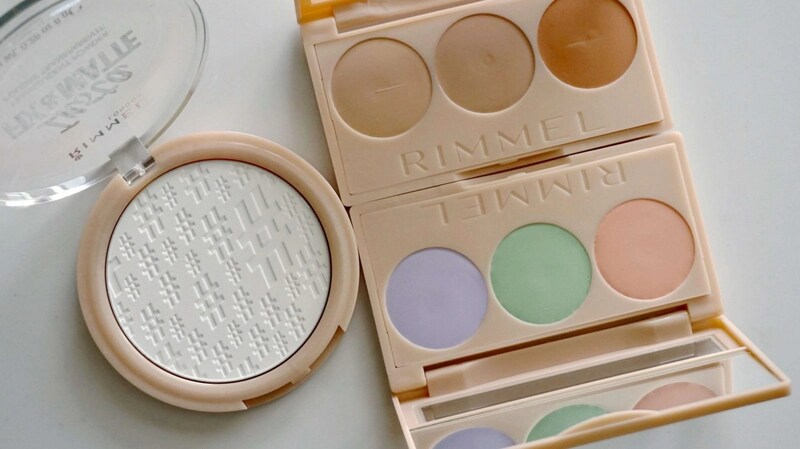 Keep in mind, this kit is color correcting, not for concealing blemishes. It will address the different skin tones and imperfections you want to conceal for a naturally flawless complexion. Apply under foundation where needed or as described on the graphic and blend. This palette is available in one shade 001 Universal. 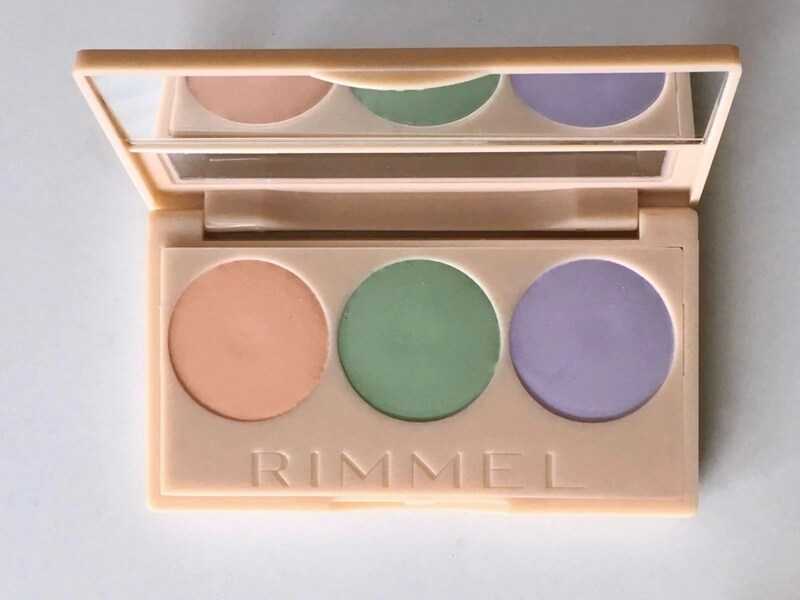 Inside of the palette, you’re getting three shades: Peach (dark circles), Green (redness), and Purple (Dullness). What I really appreciate is that they include instructions in the back of the palette to show where to place the shades. This is going to be helpful to those like me who haven’t color corrected before. The peach was great at hiding my dark circles. The formula blends easily and will last throughout the day after setting with a powder. Again, I do have oily skin so if I don’t set it will crease. I do have a little redness on my eyes, and I did try it there. Because my eyelids are so oily, there was a lot of creasing. Keep in mind, this product isn’t meant to put on the ids, it was something that I wanted to try to see if it would work. The palette also has a small mirror to help you see where you’re applying the product, which also makes it great for traveling. The #Insta Conceal & Contour palette is laid out just like the #Insta Conceal & Correct Palette. 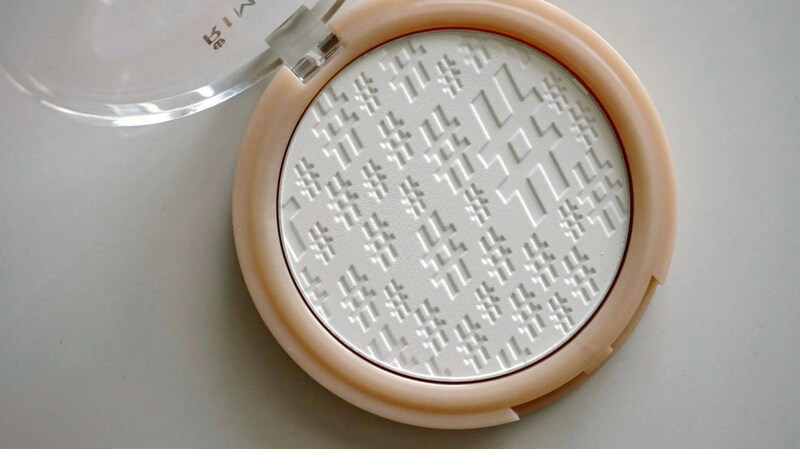 You get the mini mirror and three shades. 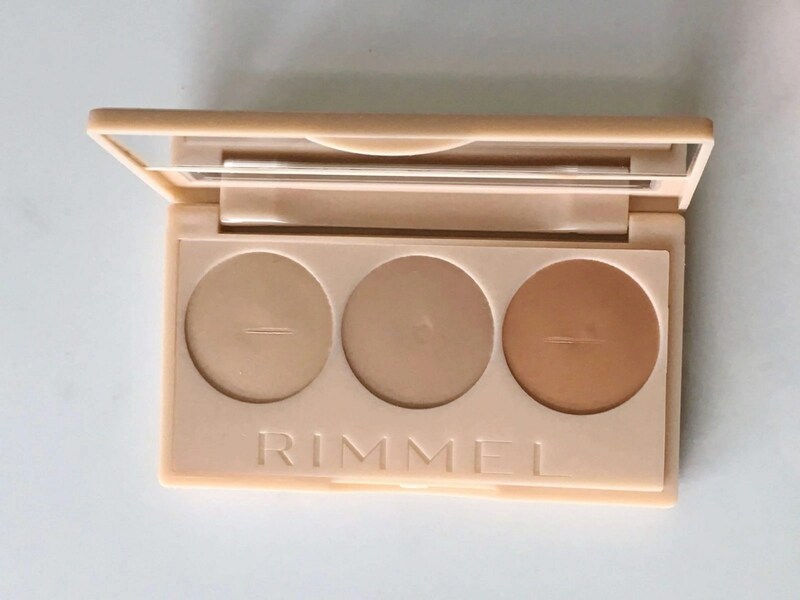 With this palette you’re going to camouflage the different tones on your face that will allow you to sculpt the angles, creating a naturally flawless complexion and defined features. Apply on top of foundation as described on the graphic and blend. The kit comes in three palette shades: 010 Light, 020 Medium, and 030 Dark. I was sent the shade 010 Light. The three shades in this palette are Highlight, Conceal, and Contour. I would say that I have light to medium skin tone. This palette was a little light, but I prefer subtlety with my makeup so this palette was absolutely perfect for me. This palette people will love it or hate it based on their personal preference. When it comes to contour and highlight some people love cream products, and others prefer powder. With my skin, powder works better, but I really like how the cream product looks. I love the subtle highlight and the natural glow it gives to my skin. When you have oily skin like I do, you don’t want a super intense highlighter. Since I’m still new to contouring, I feel like a cream contour has been more forgiving to me, and easier to work with. The color really works with my skin tone and doesn’t look harsh or too dark. The concealer is absolutely perfect! It blends nicely under my eyes, and as long as I set it with a powder, it stays put all day. 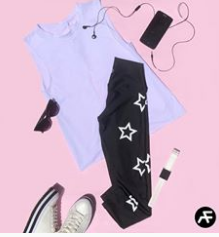 Overall I’m really happy with the new collection and definitely think they’re worth checking out. 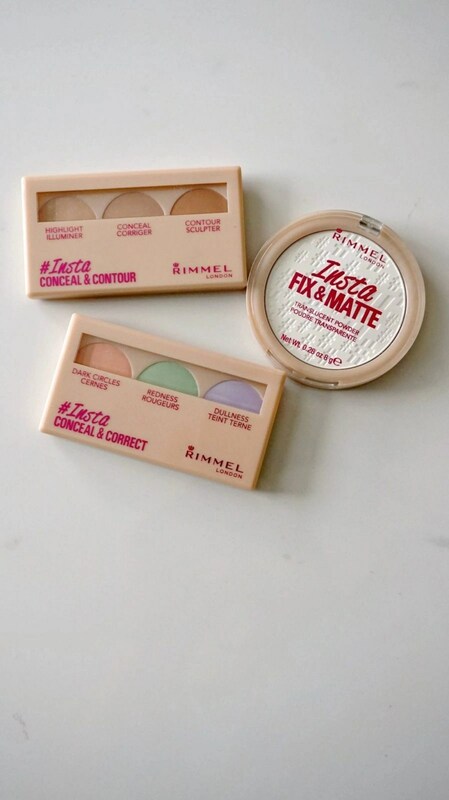 Rimmel products are high quality and affordable, something we’re all looking for in our makeup products. If you’ve tried these out, let us know what your thoughts are in the comments below! I love these palettes. I am going to check them out! I love finding out about new beauty products. I will have to go check them out for sure. I’ve never tried them but I would if I was given the opportunity to! I love this! You had me at conceal. I will have to check into this. Thanks! These look great. I have never tried this brand yet. Thank you for sharing. I want to check out the conceal & contour palette, I am very fair so lighter works for me as does a cream vs powder. This is what my wife uses. She has nothing but great things to say about it..